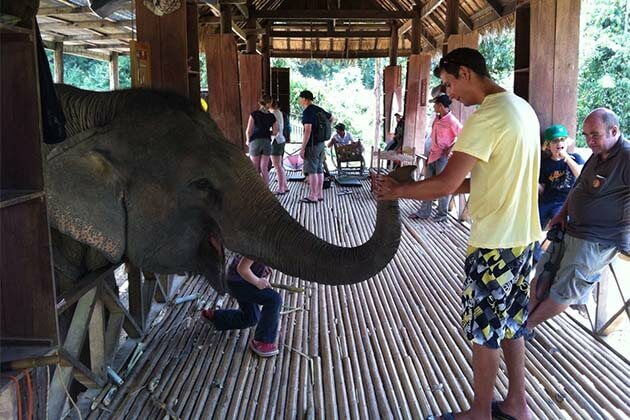 Welcome to “ the land of a million elephants”, although Laos is known as a landlocked country surrounded by mighty mountains, it puts on a special beauty. 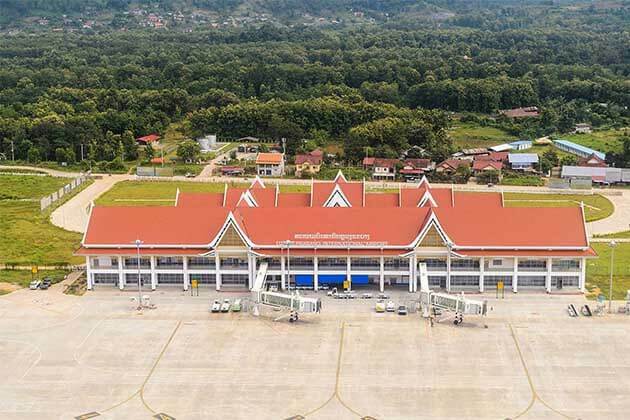 Travel in Laos, just like you were turned back to the old days, away from the hustle and bustle of places, travel to any place you will find a real peaceful place as soon as you step into Laos International Airport, you will see this difference. 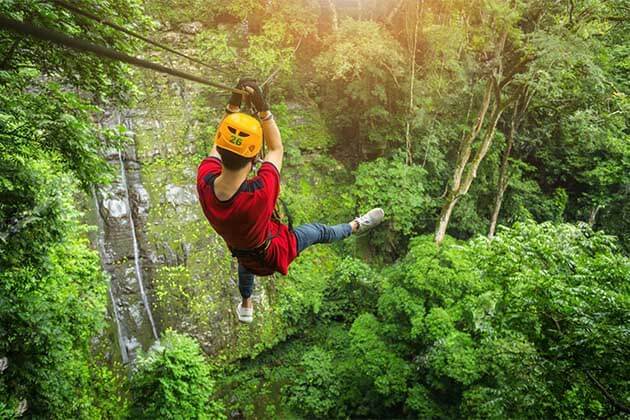 So, are you ready for Laos tours? This is a great idea to know about international airports in Laos so that you can plan your Laos trip better. 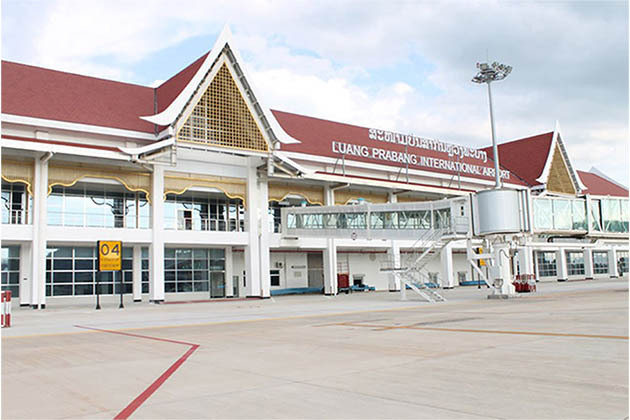 Luang Prabang international airport is one of the biggest airports in Laos. 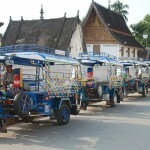 If you visit the ancient town, Luang Prabang, you will land in Luang Prabang before starting a tour in Luang Prabang. Here is also the place our guide and driver will pick you. Not only received domestic flights, but Luang Prabang international Airport also receives many flights from many countries including Bangkok Airways, Laos Airlines, China Airlines, Vietnam Airlines and so on. 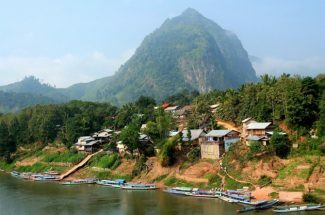 Sited at 4.5 km northeast of the UNESCO listed town, the Airline has adequate facilities for visitors in Luang Prabang. As soon as you land at Luang Prabang International Airport, you will be directed towards the customs clearance area. Applying for a visa on arrival, you need to submit your form, passport, 2 passport photos and application fee to the application counter. Your application can take a few minutes. Pass through passport control as soon as receiving your via to collect your luggage. Remember to keep your baggage stub because the attendant will check your bags before exiting the airport. Unlike the other airports, Luang Prabang may differ from most others. Before the check-in counters, you have to pass a security clearance. Wait some minutes until the gates open after checking in your luggage, then you will go through the immigration and passport control desk before entering another waiting area. If you want to go to the town, there are a lot of branch of Taxi waiting for you in front of Gate. All of the things you need to buy a ticket from the Prepaid Taxi booth in the arrivals hall. However, if you have light luggage, I suggest you should travel by tuk-tuk which you can start your mini-tour from Luang Prabang to the town, look at the Luang Prang at a glance and move by tuk-tuk, you can easy to passes along the main road near the airport. Actually, if you visit Luang Prang by purchasing a tour from tourism Agency, don’t worry, the driver will pick you up as soon as you landed. 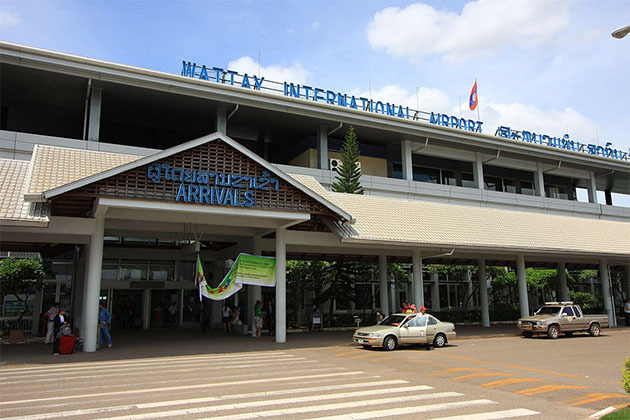 It’s about 7 km west of central Vientiane, Wattay International Airport lies in Sikhodtabong District, with 3 passenger terminals, in which 2 areas services domestic flights and an international terminal. 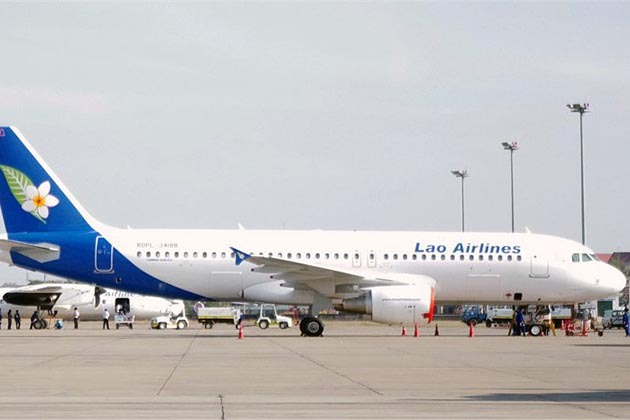 The airport is the place where the other flights such as Thai Airways International, Air Asia, China Southern Airlines, China Eastern Airlines, and Vietnam Airlines. In fact, as soon as you arrive at Vientiane Airport, you should head straight for the passport control desks inside the terminal building. If you need to apply for a visa on arrival head to the signed desk, submit your application form, your passport, 2 passport photos, and visa fees. The application process usually takes a few minutes. After collecting your visa, pass through passport control before claiming your baggage and heading out into the arrivals hall. At Wattay International Airport, there are an ATM and currency exchange counters which are easy for you to exchange money to Kip. After checking into your flight, the security checkpoint at the entrance to the departure halls. Next, you move to passport control after you enter a small but comfortable lounge. Inside, there’s an information booth to help you find airport facilities. Compared to other airports in Southeast Asia, Dining at Wattay International Airport are limited. 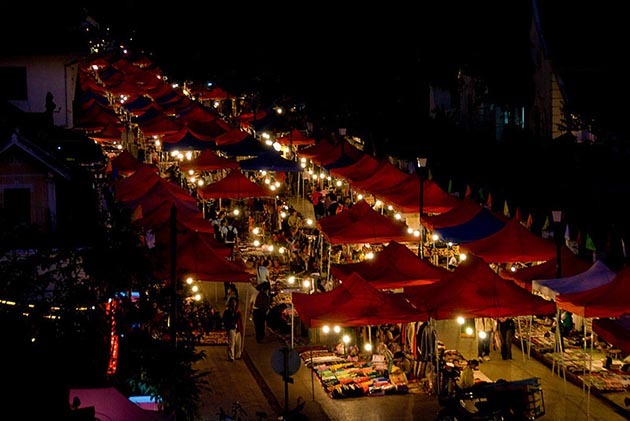 However, there are several restaurants and bars serving the usual range of local and international cuisine. If you don’t much time to buy souvenirs, Wattay International Airport is an ideal suggestion for you before saying goodbye with the capital of Laos. There are several options for getting to Vientiane from Wattay International Airport including public and private airport bus transfer services are available at rather affordable rates. Airport taxies are parked outside the arrivals halls – you need to purchase a taxi coupon from inside the terminal building before getting into one. 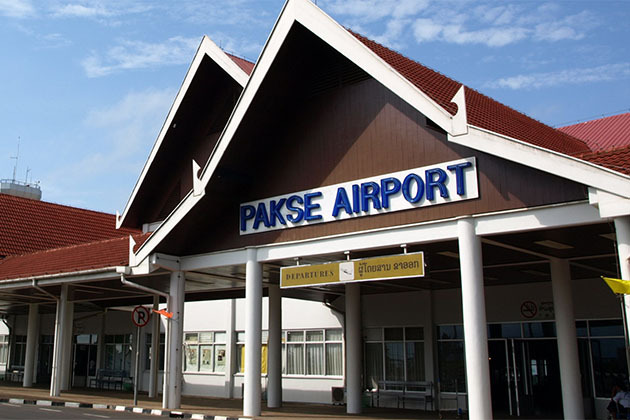 If you travel in the former southern capital city of the Champasak kingdom by Airplane, sure that you will land at the Pakse International airport which is used since 1959 and reopened after renovation in 2009. If you want to visit Pakse, you need to provide a passport, submit your visa application form and 2 passport photos. You can pay your visa fee in cash, which is between $20 and $50 depending on your nationality. Wait some minute after which you can proceed through passport control. Before departure, you need to pass a security checkpoint. Then, checking in your luggage, proceed through the passport control area to another security checkpoint.